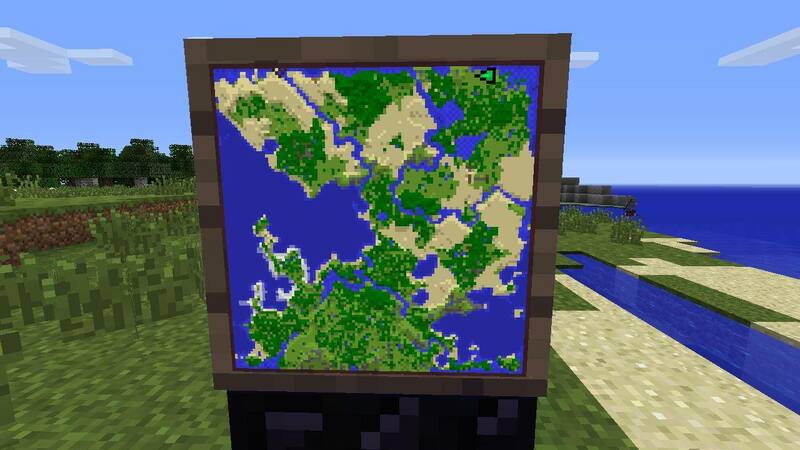 This seed has no less than five villages in it! 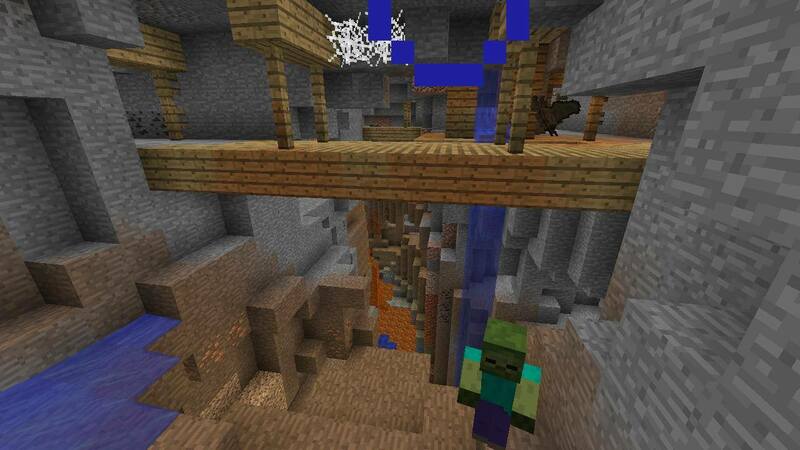 There’s also a large abandoned mineshaft towards the upper middle of the map that includes a zombie spawner. Note that all of these details are from version TU35 (April 19th, 2016). 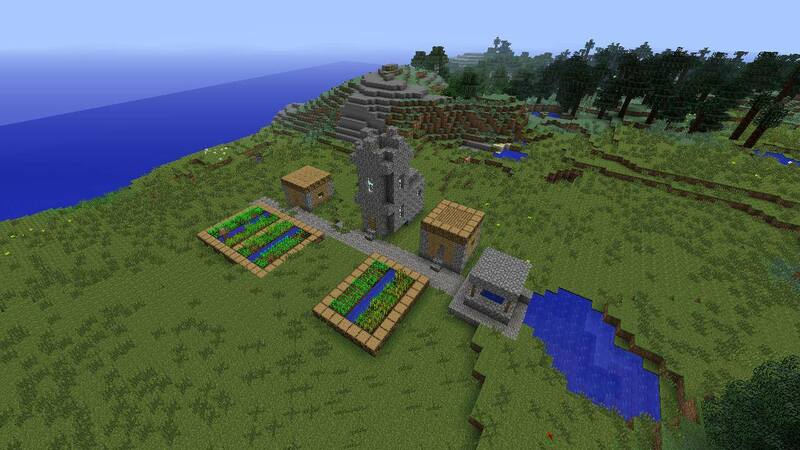 If another big update comes out eventually that affects the seed generation, this post will no longer be valid. I’ve grouped all the locations based on which village they are closest to. 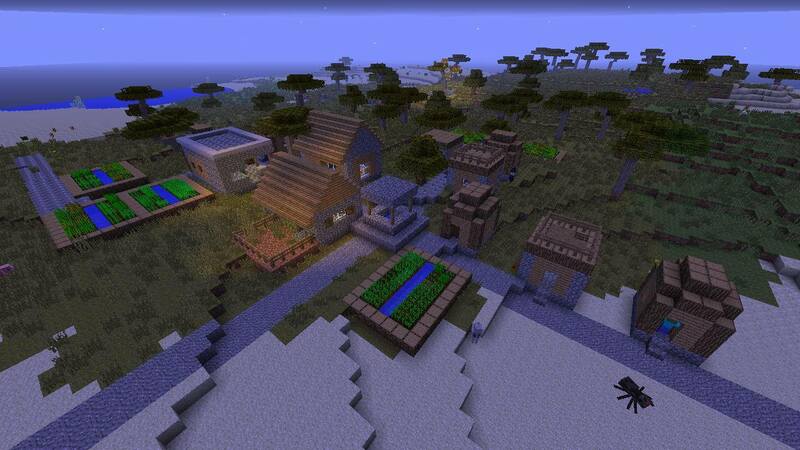 Just to the south east of the spawn point is a small village at (36, 72, 369), we’ll call this village #1. There is a librarian here who will give you emeralds for paper, so I set up a sugar cane farm. I found some sugar cane nearby at (109, 63, 339). This village is surrounded by every kind of animal–cows, sheep, pigs, chickens, wolves, and horses. 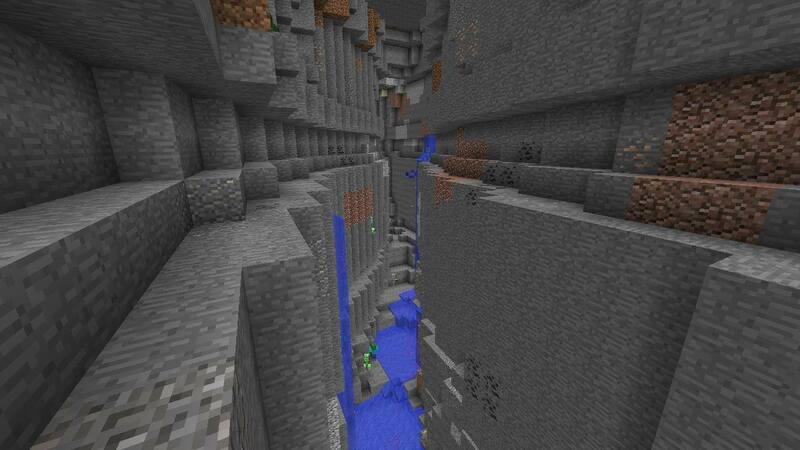 Far down below the village is a skeleton spawner at (45, 18, 359). The chest in this spawner contains iron horse armor and two saddles. 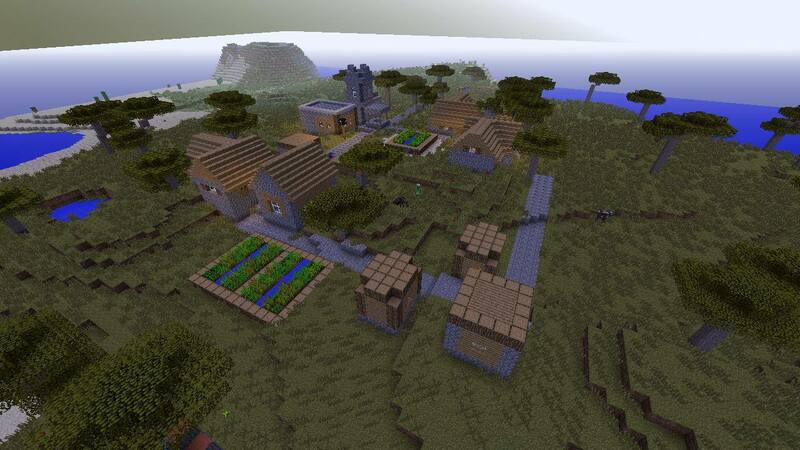 Farther north of village #1 is a larger village at (291, 67, 113), we’ll call this village #2. Note that I had trouble finding diamond near this village. There’s a lot of lava down near the bedrock. And even farther north is a third village at (282, 69, -140), which I’ll call village #3. 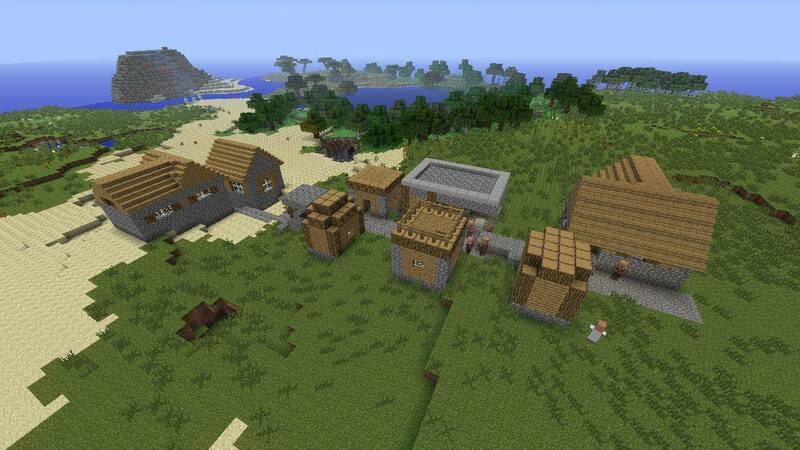 This village has a blacksmith with 2 diamonds in his chest. Blacksmith chest has 2 diamond and a saddle. In the chests next to the spawner: 3 saddles and iron horse armor. A portal at (171, 68, 388) in the overworld should get you close to the blaze spawners. Blaze spawner at (87, 71, 103) with another nearby. 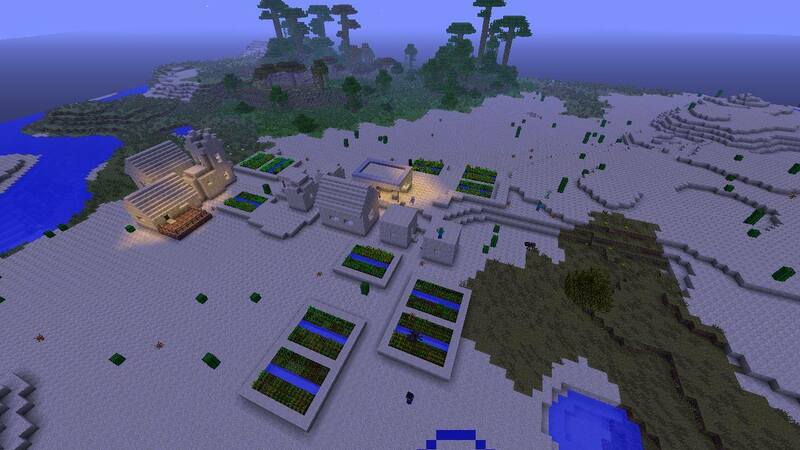 Jungle biome with watermelon at (-19, 71, -388) (center of top of map). 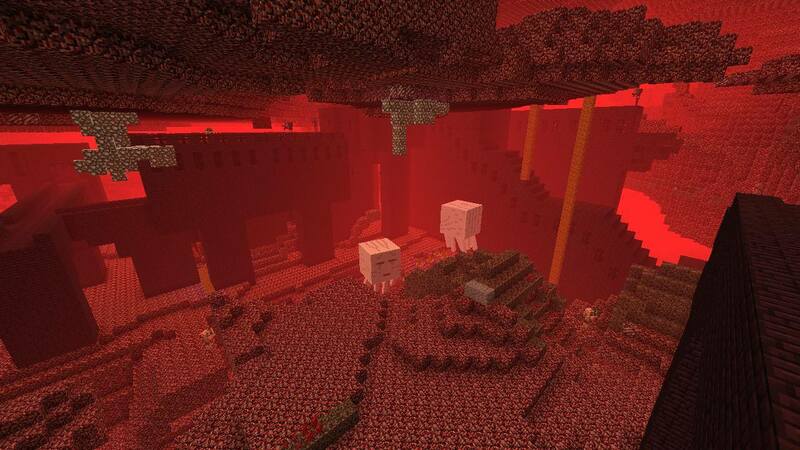 Another user said there are cave spiders “about 20 blocks east of (137, 24, 375)”. I’ll continue to update this as I find more stuff!